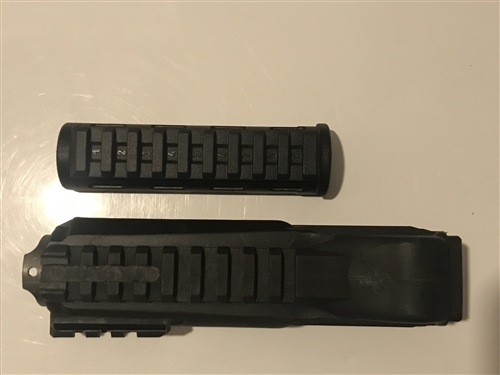 These are original Russian AK9 type black polymer railed handguards (lower and upper). 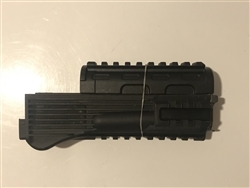 The lower handguard has a rail on the bottom and right side, there is a heat-shield (to install these on a shotgun the heat-shield would have to be removed and some minor modification would be necessary) The upper handguard has a rail on top. Made by Izhmash, Russia. 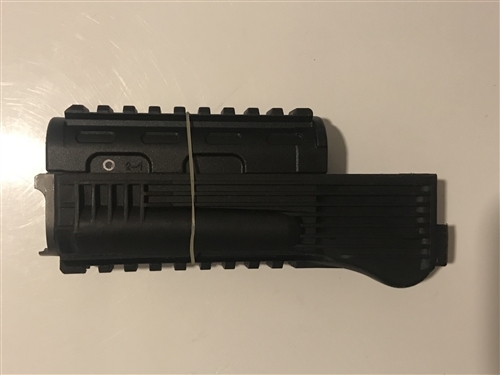 Pictures are a representation of the handguards.